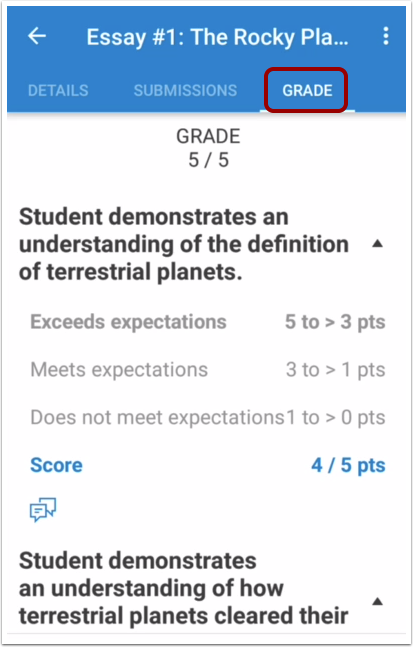 How do I view Assignments in the Student app on my Android device? 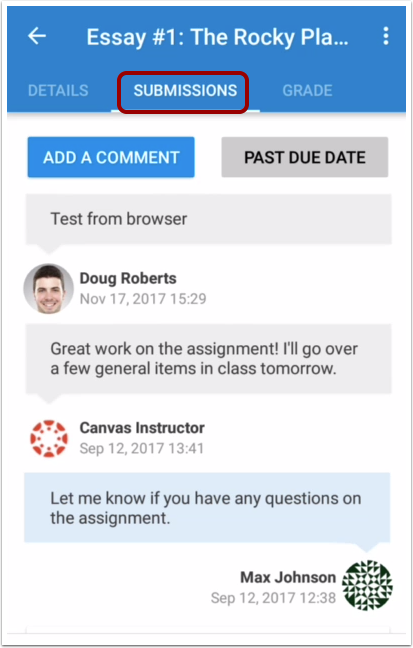 The Canvas Student app helps you keep track of all course assignments. You can also view newly created assignments or changes to assignments in the Notifications tab. Note: The Course Navigation menu matches the browser version of your Canvas course. 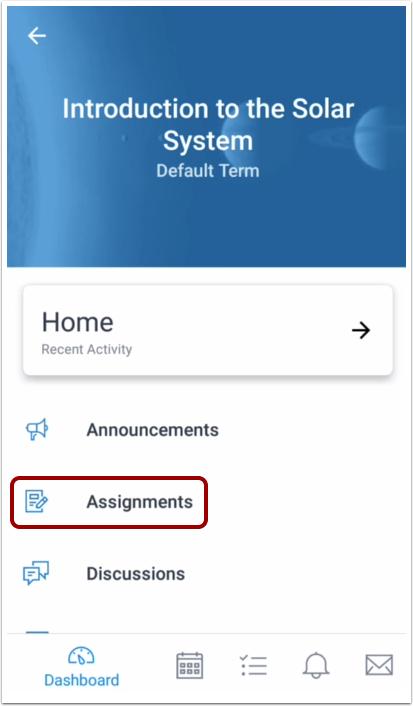 If Assignments is not available in your Course Navigation, it will also be hidden from view in the app. Assignments are organized into assignment groups. To collapse and expand assignment groups, toggle the group arrow. 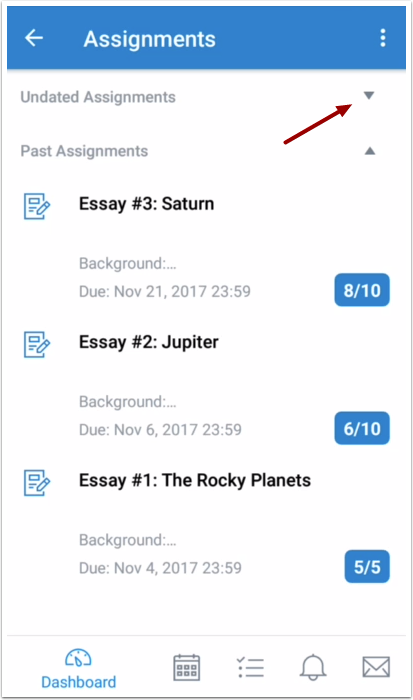 The app opens to the Details tab , which includes the assignment description. 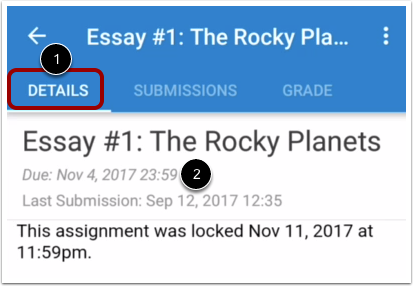 The assignment also displays the assignment due date, if any . To view assignment submission information, tap the Submissions tab. You can submit assignments, view comments from your instructor, and make comments. 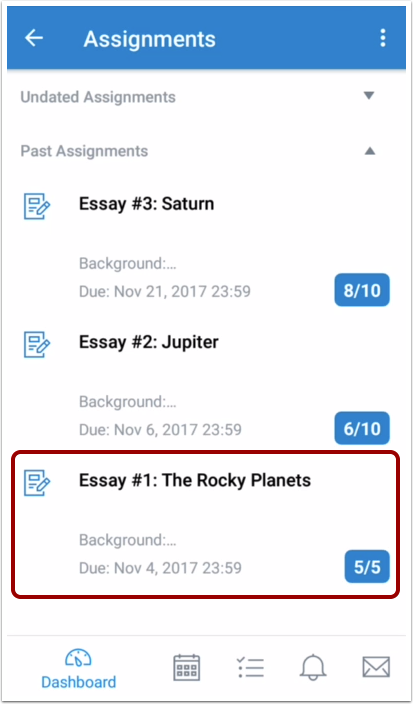 To view the total grade and assignment rubric, tap the Grade tab. Note: Rubrics cannot be viewed in graded discussions. 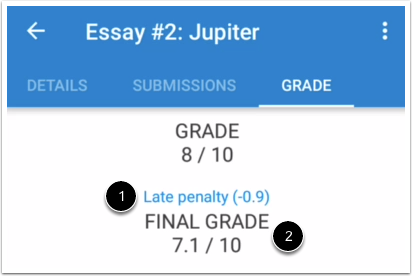 If your assignment receives a late penalty, you can view the penalty  in the Grade tab. The Final Grade  will reflect the score give by your instructor minus the penalty. Previous Topic:How do I view Announcements in the Student app on my Android device? Next Topic:How do I turn in assignments in the Student app on my Android device? 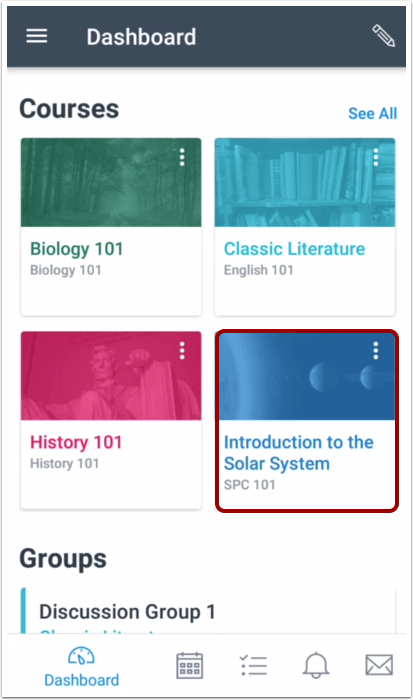 Table of Contents > Course Features > How do I view Assignments in the Student app on my Android device?